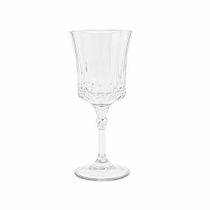 Home»Drinkware/Stemware»7.5oz. 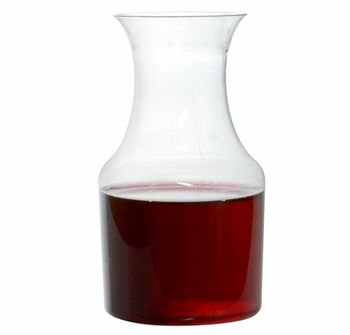 Clear Plastic Barware Mini Wine Pitcher (Caraffe) 6ct. There are so many decisions when it comes to weddings and other special occasions. Don't use glass wine carafes when you can get the durability of plastic. Glass is breakable and expensive, but these plastic wine pitchers look just like glass, but can be thrown away when finished. It's beauty, elegance and ease all wrapped up into one. 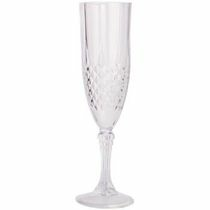 Our plastic wine carafes pair well with our plastic wine glasses for your wedding, anniversary or other special event. 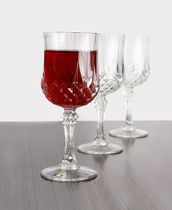 Keep them ready under your bar for those last minute soirees and parties. When people bring over a gift for a dinner party, it's usually wine and you'll have a quick and easy dispenser and glasses that don't need to be cleaned. You're exhausted after a party and our plastic wine glasses and carafes make the cleanup easy.